Having a guest room to offer to traveling friends makes me feel like such a grown up. The only down side is that I don’t have a lot of guests and I don’t want to waste precious square footage. 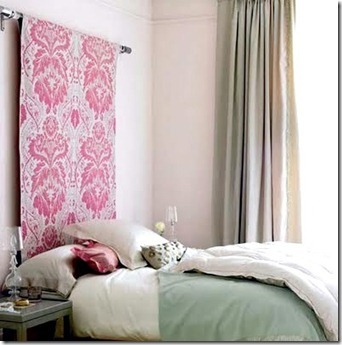 I love the idea of having a dual purpose room that can be used everyday but is easily transformed into another bedroom. Daybeds are key for a multi-functional room. Just think about working in your office and you need a gilt free cat nap. It’s all there. No one will ever know! Another creative idea to save space is to turn the extra closet into a mini office that can be shut away from the world. I love the blue flowered wallpaper. So many possibilities. Happy Valentines Day to one and all! 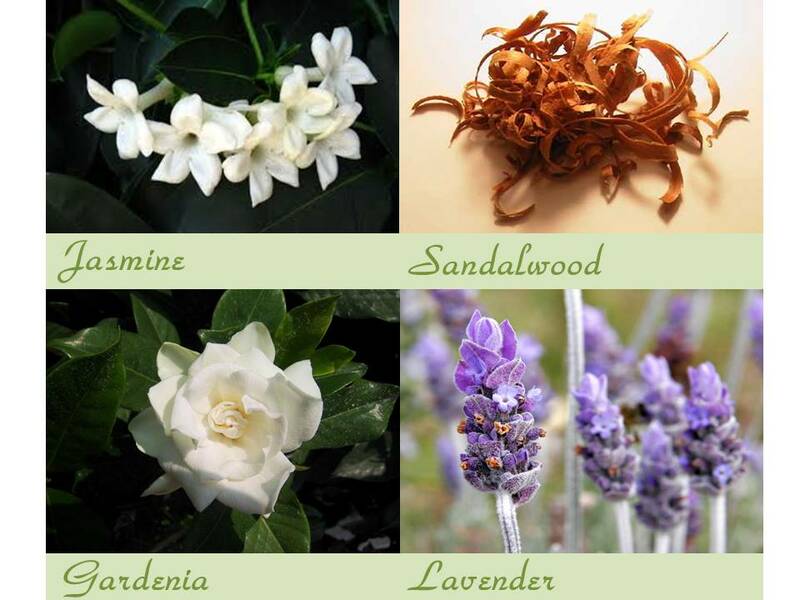 Nothing to put romance in the air like some staple fragrances. Perfect for your bedside table! It also helps that it gives a little hint of spring. Has anyone else felt it? The slight change in the air? A headboard is the equal to a mantle piece. As is the bed to a fireplace- the focal point of the room. To indecisive to chose an elaborate bed frame? Not to worry. 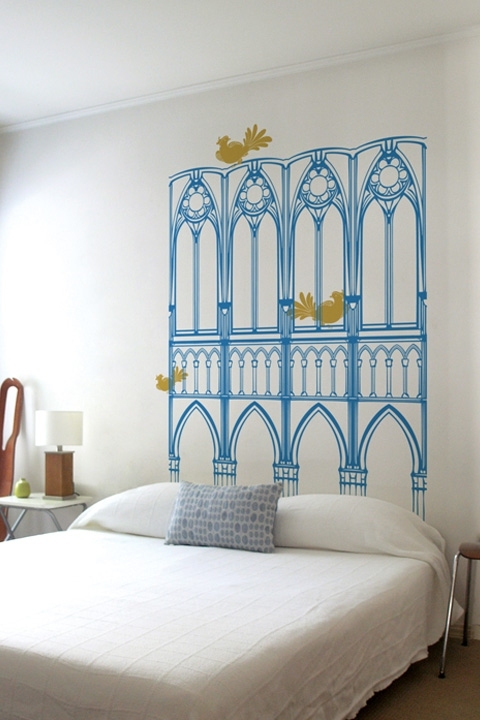 Chose from some DIY tricks to personalize your room. You can be conservative with the length and width of how much fabric you show or go for dramatics and have a big bold pattern that stretches floor to ceiling. It’s all about your personal style. This is great for the design faint of heart. Easily changeable for the seasons and leaves minimal damage in your walls for those who are renting. Don’t forget about the old toothpaste trick! So many options and so affordable. (check this Etsy seller) This is an afternoon partners project. It gets so hard to see if things straight when you are on top of them. Will not leave any marks or residue on your wall. Great for kids rooms. Level in hand get those pencils out and start an outline for your new tiled mirror headboard. Self adhesive, found at local hardware stores but for more variety in sizes try here. Ideal for small rooms with not a lot of light. This detail will really open up your space. The wonderful Grace Bonnie from Design Sponge made this striking headboard with her own two hands! He cat is pretty cute, too. Check out the video below for a great how to and check out her BLOG for a tour of her bedroom! What does a glass of water, a good book and a box of tissues have in common? 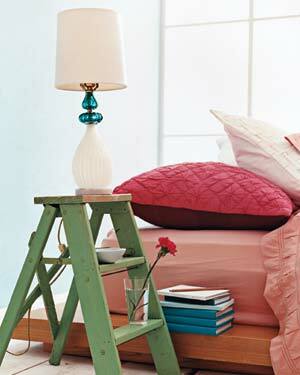 Your bedside table! I love these non traditonal approches to a need that everyone has. Express your style. Some are admittedly over the top but this is just to inspire. What are your bedside essentials?